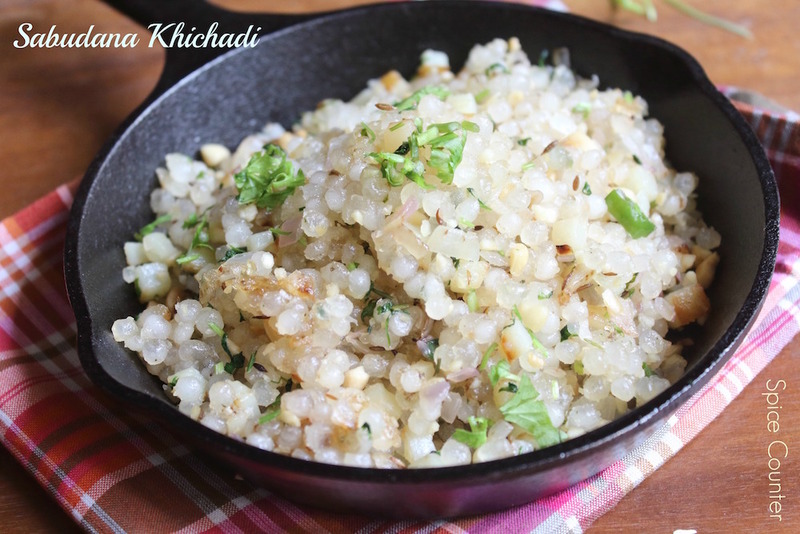 Popularly known as sabudana khichadi, this dish was one of my favourite tea-time snack as a kid. Tea-time used to be the most important meal of the day for me. Well..who doesn’t like snacks. We used to call this dish sago upma. Sabudaba or sago pearls are made using tapioca root.Traditionally, Sabudana khichadi is had during days women fast. Being a malayalee we never had these traditions (or rather i am unaware of it), so it was always a teatime snack for us. While Sabudana khichadi is easy to make, I have had my share of trouble with sago. At times it tends to stick together and become a lump. Part of the problem could be cause of the he quality of sago. Sago is one of the staple dishes of Maharashtra. I have found that the quality of the sago out there is very good. However, carelessly I’ve made it when i was in mumbai it would always turn out well. Anyways i have found a trick to solve the problem to a large extent. Sago requires pre-soaking for 3-4 hours. Once that is done, i drain the sago well and also try to squeeze out any excess water. I think this helps in making the sago less sticky. I also add coarsely ground peanuts (roasted) to this which coats the sago and further reduces the sticky property of sago. Hope this technique works for all. 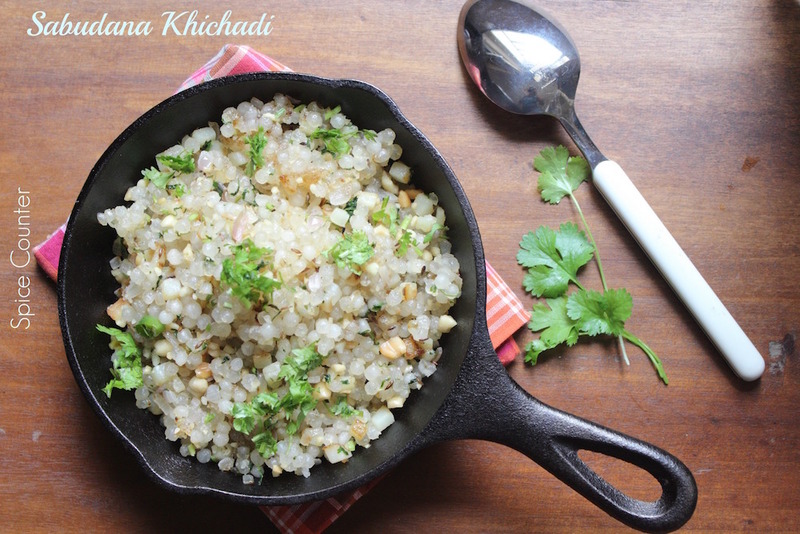 Popular among the Maharashtrian communities, Sabudana khichadi also serves as an excellent breakfast/tea-time dish. Add the cumin seeds. Once it releases the smell of cumin seeds, add the cubed potatoes. Fry them till its cooked. Now add the onions and green chilies. Fry them till the onions are translucent. Now add the sago and salt. Cook the dish till the sago is translucent in colour. Add the peanuts, chopped coriander and lime juice. Stir well.